After what has been our best UK lecture tour in history, there is so much to be grateful for. We took the train south from Edinburgh to Reading, yet still racked up 1800 miles or 2880 km in the burnt orange Citroen C3. The past week found us in Suffolk, York, Llandudno, London, Worcester and Sevenoaks on 6 consecutive nights. A major blessing always on tour is not getting sick at any point. 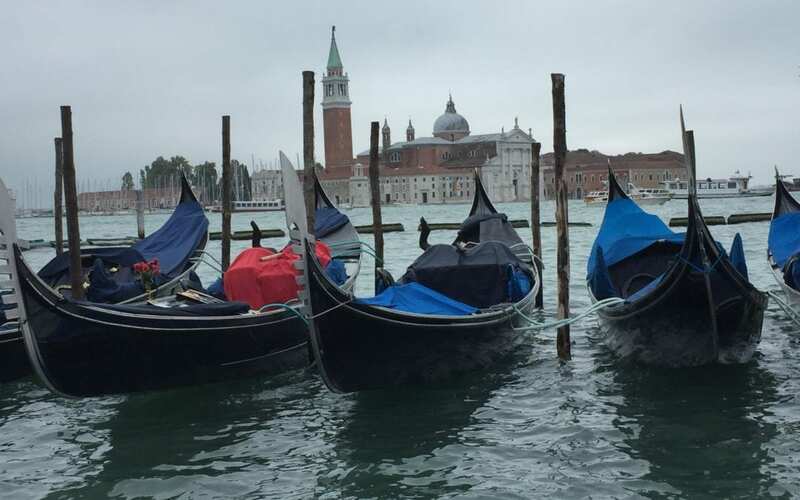 We then flew from Gatwick to Venice, and what an extraordinary experience it has been. Choosing to stay on Murano Island of glass fame, or Little Venice, turned out to be a fantastic decision. By day the place is very busy, yet at night is calm and peaceful with an appeal all its own. Our hotel room had a tiny balcony overlooking the square and lighthouse – blissful to sleep with the doors wide open. We took water buses everywhere and walked the beguiling streets of Venice. Unlike anything we have ever experienced before, every expectation wildly exceeded. At one point I stood on the edge of the canal, in an archway, being photographed and a group of tourists came by-many saying “Step back”! This is a photographic smorgasbord second to none. The Italians have been charming and helpful to a fault. South Africa can take a leaf out of this book on the value of tourism. It is almost impossible to believe that this maze of islands and subsequent development is built upon wooden piles overlaid with limestone. There must be some humour in the ‘swamp dwellers’ being forced into this environment by the raging Barbarians! The colors of buildings flow seamlessly alongside one another, creating a visual delight. Superlatives fail us, considering that many had spoken of the jewel that Venice is – it is impossible to adequately describe. Taking the water bus to the train station was a Venice grand finale’. The station literally opens onto the Grand Canal, and a hive of activity. Interesting unisex ablutions, but cheaper than the €1,50 required in the city! Settling into our seats was a markedly different experience to the Edinburgh challenge, and the train regularly running at 200km/hr. Italian farmlands and vineyards flying by beyond the window as we head south to Florence, almost all arable land hereabouts cultivated. Have not spotted a Lamborghini tractor however… You may be surprised to read that they made tractors long before they made cars.